When it comes to Vietnam, people think about Sai Gon, Ha Noi, fascinating destinations, or Hue, Hoi An, peaceful historic ancient towns by dreaming rivers. Now, people will never forget to mention Ha Long, Ninh Binh, Quang Binh, the truly MAJESTIC part of natural wonders, HOME OF KING KONG in the Hollywood Movie KONG 2: SKULL ISLAND. Nature-lover travelers may already know about Ha Long Bay - Vietnam's most prized treasure with spectacular seascape of limestone pillars, Ninh Binh with Trang An Scenic Landscape Complex, or Quang Binh, home to the newly discovered world’s largest cave Son Doong. They are natural wonders, historical and cultural heritage recognized by UNESCO. However, it was not until when the film was first released, truly hidden gems of Ha Long, Ninh Binh, Quang Binh were discovered. The almost unknown places such as the crystal - clear Tam Coc Bich Dong, the peaceful Yen Phu Village, or the picturesque Van Long Swamp.. have been well-known than ever before and promised to be the hottest tourist destinations in this summer. Trang An Grottoes is a complex beauty - landscapes called as an "outdoor geological museum" with numerous caves, mountains, valley water, trees and the historic relic. Da Deo Pass is a fierce war-time place, associated with lots of loss and many great victories. This pass is located on the legendary Truong Son Road in the past war time. Chuot (Rat) Cave is another shooting location in Quang Binh of King Kong 2 Hollywood movie. A part of Tulan cave system, Chuot Cave is well-known for its wild nature. Chay River – Dark Cave appears in a strange jade green, merging with the green of the forest and imposing limestone ranges. Along the river banks are immense corn fields. All come together to create such a magnificent and poetic picture. Cha Noi Valley is the last backdrop in Quang Binh. Lies in the foothills of Da Deo Pass, Cha Noi looks like a wild valley without any footprints of modern world. The tour discovering “Skull Island” should be started from Ha Noi – Ha Long – Ninh Binh – Quang Binh. Travel agencies always offer 5-day tours combining these places. However, by taking these tours you cannot go into details. It’s advisable to spend at least 2 or 3 days in each city to have in-depth trips and full exploration as they have much more to offer than you may think. "Hanoi is an enthralling blend of East and West and a rising star in Southeast Asia. Vietnam’s capital has much to explore – museums, parks, history, and culture abound. Next, visit stunning Halong Bay and overnight on a junk boat (a traditional Asian vessel) while cruising among the bay's 3,000 islands that rise dramatically from the emerald waters". Source: James's Footprints. Noi Bai International Airport, the biggest airport in northern Vietnam, serves the capital city of Hanoi. The airport is located 45 kilometers from the city center. This hotel gets high rank on the TripAdvisor website. It is really an enjoyable stay here with the friendly staff. They can remember who you are, give good advice on places to go, food to eat, etc. No need to bring heavy bottles of drinking water from home, there is water provided in hotel and cruise. Need to change VND (the hotel changes at the same rate as the bank) as most places require you to pay in VND. At the airport, everything is priced in USD. Temple of Literature & National University is the first university of Viet Nam. Your trip to Ha Noi will never be fulfilled if you miss to visit Van Mieu. Highway 4 is a restaurant everyone in Hanoi should visit at least once. Popular with locals and tourists, all food is served with plenty of local herbs which the restaurant tries to source sustainably. For a Halong Bay Cruise, book the Paloma Halong Bay 2Days/1Night tour. The bus/private car will pick you up at the hotel and transfer to Ha Long. Enjoy the peaceful scenery as you travel through the countryside, farmlands and Red River delta. This 2 days 1 night trip, you will stay on a boat, so beware if you are seasick. For the evening, there was a sunset party and a cooking demonstration. Great time to hang out on the deck and admire the sunset. Bai Tu Long Bay is the name of an area located in the east of Halong Bay Vietnam. Although it shares many similar geological characters with Halong Bay, Bai Tu Long Bay is considered as off the beaten tourist track with many deserted and pristine beaches. Vung Vieng is located in the heart of Bai Tu Long Bay, 24 km from the mainland. You will not only be immersed in the quiet and peaceful location viewing the charming landscape but also will be instructed in the fine arts of sailing and casting fish nets. At Vung Vieng, disembark and travel on the sampans rowed by the local people. They will be your guides through their fishing village where you can meet the locals, visit the school and pearl farms. In the afternoon, you will have an opportunity to go swimming in the clear warm waters or go kayaking. Kayaking is suitable for all levels and ages. For the early risers join them for a Tai Chi session on the sun deck. After breakfast, sail through the waters and pass by a number of caves including Trong (Drum) cave, Trinh Nu (Virgin) cave, Coc Ngoi (Toad) cave and drop anchor at Surprise (Sung Sot) Cave. Dong Xuan Market (Vietnamese: Chợ Đồng Xuân) is a market in the center district Hoan Kiem of Hanoi, Vietnam. Originally built by the French administration in 1889, Dong Xuan Market has been renovated several times with the latest in 1994 after a fire which almost destroyed the market. Dong Xuan night market runs along Hang Ngang and Dong Xuan streets, from the junction with Hang Bac right up to Dong Xuan market . A huge range of goods is available for haggling over — key rings, cuddly toys, handbags, clothes for starters — and there’s a good vibe. Beware of motor cycles even though it's supposed to be a walking street. As for prices, tourists should aim for paying 70% of the item’s starting price, while locals can aim more optimistically for 50% or less. So try your luck. Ha Noi's Old Quarter is a must-see stop where you can explore the unique architecture blended with a touch of western design in the center of Ha Noi. Last minute shopping for souvenir along the Souvenir Streets at the Old Quarters. Prices are 2 to 3 times lower than at the airport. Many locals are able to speak English, hence no worries on language barrier. 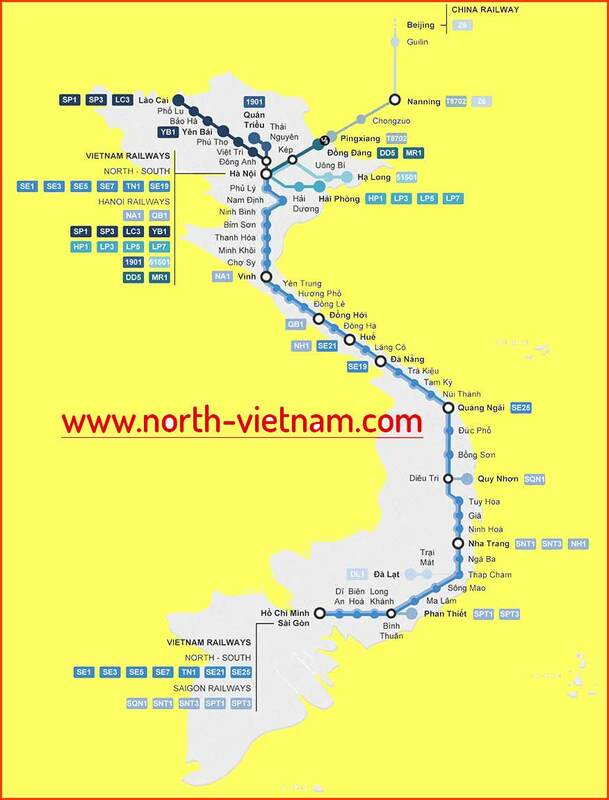 From Ha Noi: The best option to get to Ninh Binh is a train or bus. Ninh Binh is a wedge-shaped province south of Hanoi, which stretches from Cuc Phuong National Park to the Gulf of Tonkin. It is the land surrounded by a stunning landscape of lush green paddy fields and striking limestone outcrops in many sights. This tour surely help you enjoy fresh air that you may not have in the busy life in big cities. If traveling by coach, when reach the down 3 to the Cuc Phuong National Park. Tourists should catch the motorcycle taxi or taxi to come to Van Long resort. Along the Ngo Dong River, you will boat ride through the canyon, flanked by tall grassy. Once through the mountains, the next stop is the Fish Cave - a beautiful cave here. To be able to watch the langurs and stork flying, you should go in the afternoon between 15:30 to 16:30. Tourists should bring the umbrella and hat because of the sunny weather. Tourists should sit on the boat having 3- 4 persons for safe. There are not the life jacket on the boat, so that if they want, they can ask for at the ticket counter. On the way you will admire the excellent limestone strange shape: Cat Scratch, Raspberry, Table Rock, Ark of Books... If you want to photograph should talk to their boat before you go enough attractive destinations in Van Long lagoon (about 2 hours). You will cook with the local family and under instruction of the Chef from Van Long house on stilt, take a little rest after lunch. You should bring sunglasses, sun cream, and your camera. You’ll also need shoes and short trousers for the cycling part of the tour. Take some steps to climb up the viewpoint to take photo of Hoa Lu panorama, charmed by the marvelous scenery offered by the mountains, rivers and temple. Visit temples of two dynasties of Dinh and Le with a very unique architectures in the old time to learn about ancient culture through an excavation of vestiges of Royal Palaces ground dated 10th century. Ticker price is 150.000 VND per person based on a shared boat of 4 (for foreigners) and 6 (for Vietnamese). If you want to have your private boat then buying all 4 tickets is required (600.000 VND or about 26 US$). That included both boat fee and entrance tickets. Your trip to Trang An will be wonderful in the summer, in weekend or a short holiday. Cultural festivals in Ninh Binh are organized in the spring with 74 traditional festivals and 145 village scale festival. There is no toilet on the way. So make sure you visit the bathroom at the reception area before getting on the boat. Prepare to have some small change (2.000 VND) to pay for the toilet. Prepare to bring some water (or lots of water in the hot summer) with you on the boat ride. There are no shops or cafes on the way. The Vancouver is a boutique family-run hotel centrally located in a very quiet and peaceful side street away from the hustle and bustle of everyday life of Ninh Binh city center. You should wear suitable clothes when visiting the pagoda. You can see a biggest bronze Buddha statue in Vietnam with 10 meters in height, 100 tons in weight. From Bai Dinh Pagoda, take the bus to Kenh Ga ferry-boarding. Then cruising about 20 minutes along Hoang Long river (that means the Dragon river), watching beautiful shaped limestone formation, rice paddies to visit the floating village Kenh Ga (Chicken Canals-see lonely page). Visit Hot mineral-Spring (Natural stream). Water temperature is 53°C stability, suitable for treatment and rest. From Ninh Binh city, take the road through World Heritage site Trang An to Bai Dinh Pagoda (15km). From Bai Dinh Pagoda, follow the road behind Bai Dinh car park to Cuc Phuong National Park (26 km). This is a wide road, less traffic, distance equivalent to other routes if from Ninh Binh city. Visit the Endangered Primate Rescue Centre where you can capture snapshots of some of the rarest primate species in the world. Then set off on a 7km hike on trails with narrow rocky slopes to the “Big Tree” and a 200 million year old dinosaur fossil. The park centre itself houses a restaurant, a cafe, a shop and more accommodation. You can also take a short detour to visit the Palace Cave. There’s space to sit and rest ready for the return journey. The focus of the town is very much on the river and canals. Arrive in Dong Hoi, you can rent a motorbike ( about 100-150K per day) to travel for 3 days traveling here. If you spend time in a nice coffee shop and act friendly, you'll probably get to speak to some educated Vietnamese people with good English skills. Then you can learn about local life. If you want a place to sit back, relax, and enjoy all the benefits of a small Vietnamese city without the usual city hassles (traffic, tons of tourists, hawkers, etc.) -- then Dong Hoi is a great place to spend a few days. When you get to Phong Nha, apart from paying the entrance free, you also need to pay for a boat to take you in. You can share a boat ( maximum 14 people) and share the cost or you can pay more and have a private boat trip. The scenery is breathtaking with dazzling displays of stalactites and stalagmites. Words cannot adequately describe the beauty- visit the cave. Phong Nha cave: 150.000 VNĐ / person / one turn. - Tien Son Cave: 80.000 VNĐ / person / one turn. - Boat to visit a cave: 320.000 VNĐ / a boat / one turn. - Boat to visit 2 caves: 350.000 VNĐ / a boat / one turn. If you like adventure travel, the Chay River – Dark Cave is suitable destination to explore and experience. However, if you do not want to participate in adventure activities, you still can have fun at the Chay River area, outside the Dark cave with fun underwater sports activities . Price: - Adults: 350,000 VND / person / one turn. - Children: 150,000 VND / person / one turn. Nhat Le Beach is a beach in Dong Hoi city, the capital of Quang Binh Province, home to World Heritage Site Phong Nha-Kẻ Bàng National Park. The sand here is fine and white with clean water. You can have a chance to relax yourself in a magnificent fairy landscape of beach, long-lasting sand banks, blue sky, blue sea, and green coconut tree rows! Geminai Hotel offers great service and comfortable rooms at very reasonable price. Good location, friendly and helpful staff make this a practical place for a stopover. The hotel itself is clean and comfortable. The rooms are spacious with great furniture and design, from the curtains, art work and the awesome tile work in the bathroom. You have to try the pumpkin soup, veggie cashew burger and cabbage rolls along with the coconut jelly and the flan desert! You can sit on their cozy couches inside if its raining or you can hang out on their patio if its sunny; surrounded by plants and view of the river. The hotel is about 200K / one room / one day. There are many good hotels near Dong Hoi railway station or Ly Thuong Kiet Street. Prices range from 200k - 250k / one room / one night. If you want to have a better view of the hotel, prices from 400k - 650k / one room / one night. The focus is mainly on Truong Phap Road, opposite Nhat Le beach. The food here is really good in a very cozy and stylish looking cafe full with plants. Most people try the set menu with the delicious and creamy pumpkin soup, and the pork burger! The ice cream is perfect and the coffee is great! Although the menu is not extensive it is really interesting with meals for all tastes. You will not regret to visit this gem, the service, the food and the place is perfect! There are outside seats where you can watch the little amount of traffic flow by, and across the road is the esplanade which runs along the mouth of the river. It's not only an amazing cave, it’s also attractive by its beautiful road heading to the cave with so peaceful scenery from both side. It is a very interesting cave with excellent formations. The site is extremely well planned out, with lights illuminating the right places, a well-constructed walkway, and labels on each of the named formations. Walking through bridges made of bamboo is quite a challenge feeling. Few foods are served there and they are quite expensive but still good. Beautiful surrounding areas is really a nature place for a visit in summer. Da Deo Pass is proud to be one of the best King Kong 2 movie's scenes. And it has been well-known around the world since then. The beach and strange stone formation are really great for photo-taking. You can climb up the small hill with the steps to reach the top of the hill. The beach is attractive with fine sands and blue clear water. It's a vermicelli/ noodle with fried tofu & shrimp paste. Quang Binh has two separate seasons: rainy season and hot season. The best time to visit Quang Binh is from March to September when the weather is pleasant and stable. From October to February next year, Quang Binh is offen attacked by strong storms so it’s inconvenient to go there this time. These are prestigious 1 star hotels in Quang Binh: Guest house, 1-star hotel: VND200,000 to 250,000 / room / night: Hoang Hai guesthouse (Dong Hoi railway station), Hang Nga hotel (Ly Thuong Kiet street, Anh Linh Hotel, Ngoc Bao Hotel (Duong Van An Street). Nam Long Hotel (Phan Chu Trinh). If you like to stay in Phong Nha are, you may like Phong Nha Lake House, Phong Nha Farmstay, Chay Lap Farmstay. Price is from VND 900,000 – 1,500,000. Phuong Dong bar (197 Ly Thuong Kiet), Quan 27Cm (Truong Phap street), Sunclub Bar in Sunspa Resort and G8 Club (58 Ly Thuong Kiet). Central Vietnam’s specialties supermarket on Truong Phap street. Central Vietnam’s specialty Supermarket 24h on national highway 1A - Bo Trach Quang Binh. There are two Sacombank ATMs located across from the Phong Nha-Ke Bang Tourism Center. You had better bring enough cash as sometimes they do not work, especially during power outages. You may see young people around Phong Nha. They want to practice their English so if you have spared time, please say hello and speak a few words with them. This may bring nice experiences of your trip. It is not advisable to drink tap water in Phong Nha as they may contains high amounts of limestone, calcium, and other minerals. Please drink bottled water. The market in Phong Nha is a little chaotic but it’s worth checking out. You are free to bargain here. Best time to visit is around 6 – 9 AM. It is open until about 11 AM, and then closes until the afternoon. It opens again around 2 PM and goes until about 6. You will be able to find basic things such as hats, socks, flip-flops, raincoat, snacks, etc but not proper trekking clothes. Riding a motorbike is very risky, only go on a motorbike trip when you are confident enough in your riding skill. You should not ride motorbike to the national park after sunset as there are no lights on the roads and it can be very dangerous. Please always wear a helmet while riding a motorbike. There is a main pharmacy located at the front of the market, just off to the left. It is open from 7:00 AM – 7:00 PM and sells basic medicine for flu, headache, stomachache, iodine, but very little for urgent or serious medical care. Phong Nha is quite safe to walk around, even in the evening. However it’s better to walk in well-lit areas, don’t show off your valuables, dress appropriate, and know your way back to your accommodations from wherever you are. Hopefully, this post will be helpful for your next coming trip to the wonderful land of the middle Vietnam. Your trip to Trang An, Tam Coc- Bich Dong will be wonderful in the summer, in weekend or a short holiday. Cultural festivals in Ninh Binh are organized in the spring with 74 traditional festivals and 145 village scale festival. Ninh Binh is famous for it’s local goat meat specialty. You can have some local food in small food stalls in the town. The huge "bia hoi" (beer on tap) on Tran Hung Dao is very popular with locals. Look for the “bia hoi” sign.